Mega Sale! Free Shipping Included! 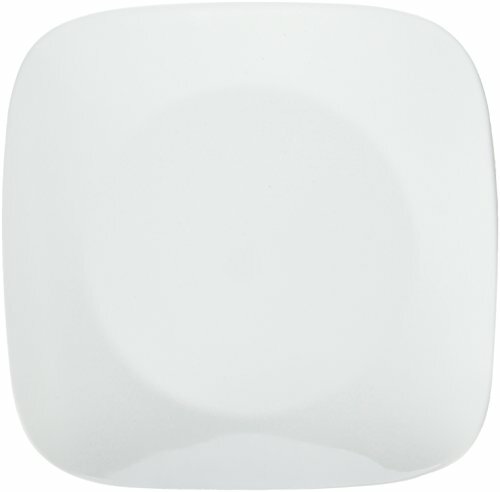 Save 22% on the Corelle Corelle Square 10-1/4'' Dinner Plate (Set of 6), Pure White, by Corelle at Foom App. MPN: 1114609. Hurry! Limited time offer. Offer valid only while supplies last. You can always expect more from Corelle dinnerware. The perfect canvas for your culinary creation, this dinner plate has the expected round center. You can always expect more from Corelle dinnerware. The perfect canvas for your culinary creation, this dinner plate has the expected round center. and an unexpected flared, squared rim. The flared rim of the plate is not only functional - preventing spills - it also adds a stylistic touch. With Corelle dinnerware, you also can expect quality, durability and value.